Last wednesday US President Barack Obama announced that the United States planned on reopening diplomatic relationships with Cuba, as well as allowing some forms of trade and travel. After a half-century embargo that cut all ties between the two countries, this is good new for both Cubans and American travellers who’ve been dying to go there. But it also means that the Caribbean country is on the verge of changing forever. 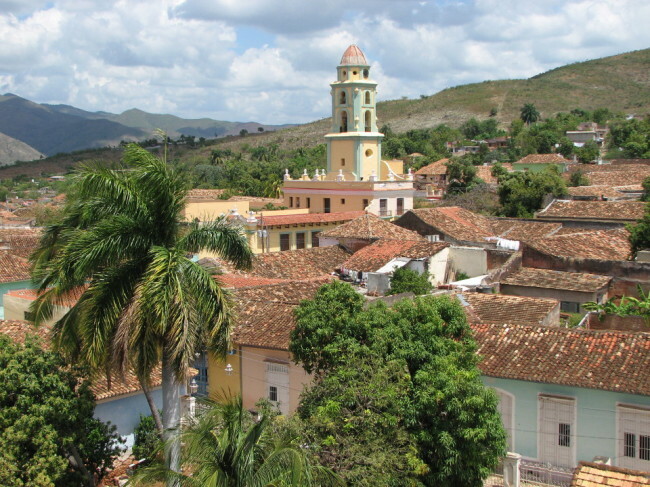 Cuba is unique not only because of its surviving communist government, but because of its “stuck in time” look and atmosphere. American cars from the 50’s still roam its streets, and until a few years ago, there were no cell phones… or even toasters! In 2008 I spent two weeks in the country as an independent traveller. 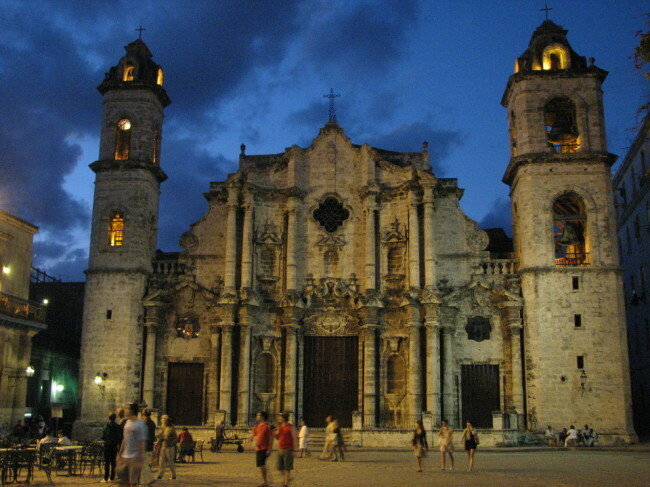 Most Canadians visit Cuba during the winter on all-inclusive resort package trips. They don’t see much more than the beach, the pool and their hotel. My goal was to travel through Cuba the same way I travel in every other country: by booking my own accommodation, transport, and excursions, and finding my own food. My itinerary included La Habana, Trinidad, and Viñales, a village in the tobacco-growing Pinar del Río province. I booked a return flight on Air Canada from Toronto to La Habana which cost me around $750. In each town, I stayed in a casa particular, a private home where the residents are allowed to rent a room or two to tourists. This type of accommodation lets you meet locals (if you speak some Spanish) and are cheaper than impersonal hotels. 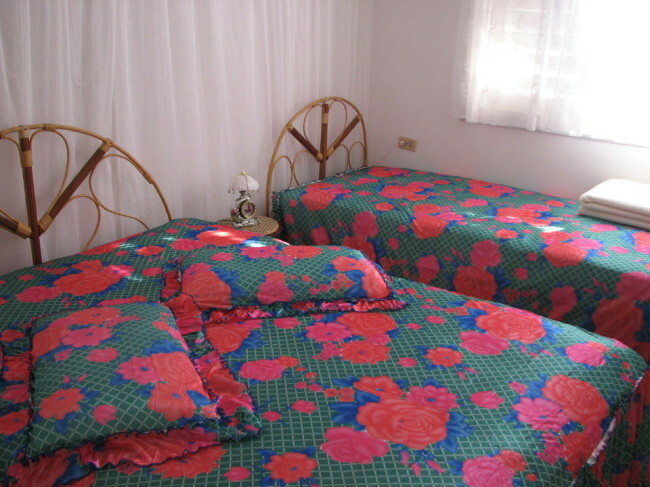 For a room with shared or private bathroom in a casa particular you will pay between $15 and $25 a night. They also provide breakfast and dinner for an extra cost. Check out MyCasaParticular.com. (There are other sites as well.) 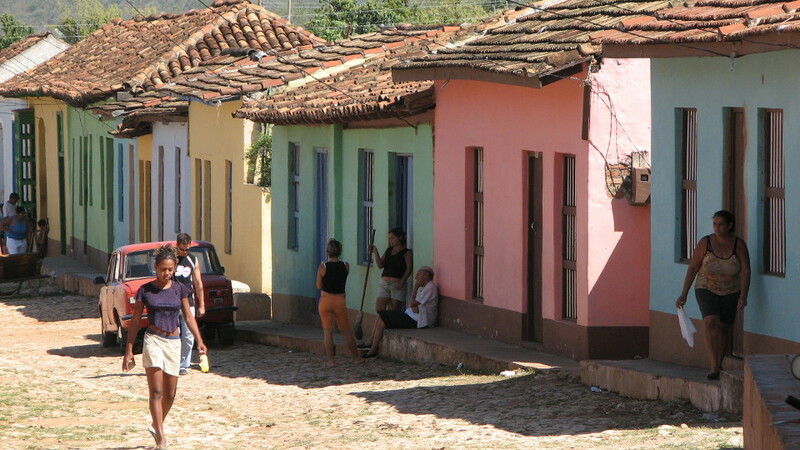 As you can see, Cuba adopted the AirBnB concept long before the idea dawned in San Francisco! I should mention here that Cuba currently uses two currencies. Tourists must convert their money into the CUC (Cuban Convertible Peso) which is pegged to the US dollar and incurs a 10% commission on every exchange. 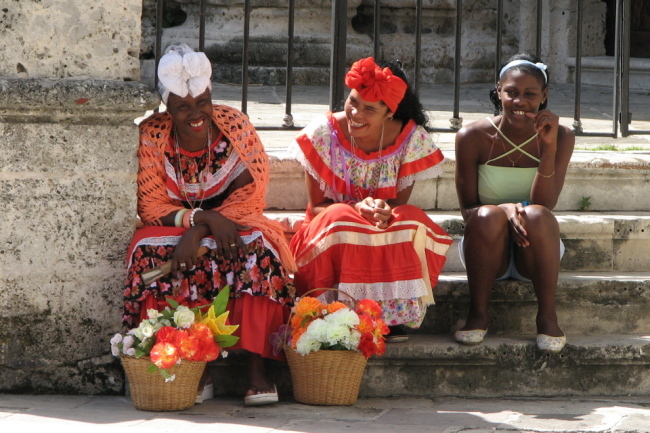 The locals use the regular Cuban peso which lets them buy things at about 4% of the tourist cost (keeping in mind that their income is very low). La Habana is interesting, even beautiful. The downtown (Centro) and old town (Habana Vieja) display striking architecture, including the Capitol building (that looks similar to its counterpart in Washington DC), ornate Spanish colonial churches, and some buildings that would look at home in Europe, from baroque to art deco. Of course there are many dilapidated areas as well. The city also features a long seawall called malecon. Walking along the malecon is pleasant, but you have to watch out for the buckets of water that regularly wash over it in high winds. 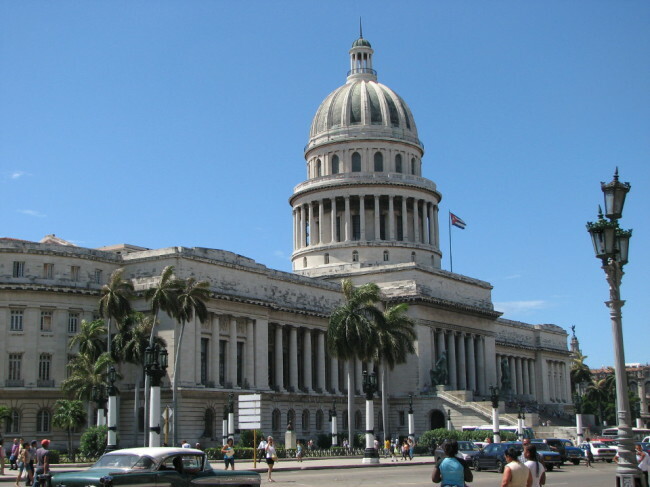 If you like museums, La Habana is endowed with many, including the Museum of the Revolution, the National Museum of Decorative Arts, and the House of Che Guevara. There is even a museum dedicated to rhum where they give you a (very small) sample of the stuff. All in all, there is enough in the capital city to keep you occupied for days, even weeks. La Habana also offers a decent choice of restaurants and bars (which is not the case elsewhere). Most restaurants are government-owned and not particularly cheap for the traveller. Having said that, I could still get a meal for between $5 and $15 (2008 prices) and the mojitos were freshly-made and only a couple of dollars. La Habana even has a Chinatown, if ever you have a craving for noodles. One thing that I never found anywhere was beef, although I could see cows in the fields. Somebody hinted that only the Castros were getting the beef. Very strange. 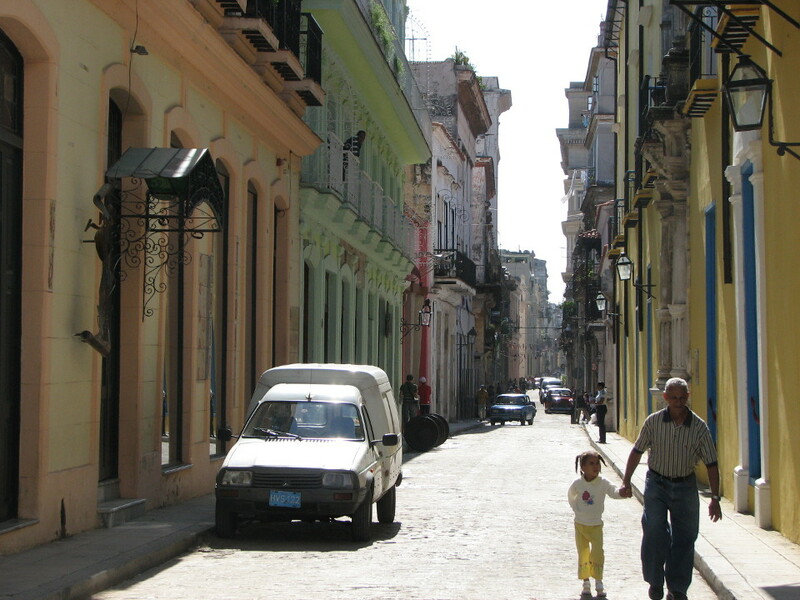 You get around La Habana on foot or by taxi. Taxis run the gamut from boring ladas, to vintage American cars (with or without leopard-print seat covers and disco-lights on the dashboard), to the cute yellow coco taxis, a cousin of the Asian tuk-tuks. Although Cuba has local inter-city buses, the most comfortable and direct way for visitors to travel between cities is the tourist bus called Viazul. Travel agencies sell tickets. My next destination was Trinidad, which took about 6 hours from La Habana on a Viazul bus. Trinidad is a inland town of about 75000 people that is famous for its music. Everywhere on the streets you can hear Cuban jazz or salsa music, and see musicians walking around with their instruments, probably en route to a rehearsal or a club. Another feature of Trinidad are the pastel-coloured houses and cobblestone streets. I saw several live bands, both in the afternoon and evening. Sometimes people danced salsa in front of the band. Cubans are devilishly-good salsa dancers. You can also take a little steam train with wooden carriages and a real steam locomotive to Valle de los Ingenios, through the green sugarcane-growing countryside, with a few stops along the way. One thing that you notice almost immediately walking around Cuban streets is the lack of shops or businesses of any kind. People grow their own fruits and vegetables, slaughter their own chickens and pigs (or barter some from neighbours). They buy staples such as soap, rice, oil, and canned goods in tiny little corner stores or shacks. You won’t gain weight here. Unlike La Habana, Trinidad does not have many restaurants. There are a few family-owned eateries called paladares. Eating in private houses is really the way to go here. You can get breakfast and dinner at your casa particular for an extra fee (it was around $8 for dinner and a few dollars for breakfast). Walking on the street at night, locals were inviting us to their house for a meal every two minutes! The food is pretty repetitive and rather bland, but you get a lot of it, and it’s still as good or better than the restaurants. The usual breakfast foods were fresh fruits, bread (toasted in a frying pan because Cubans didn’t have toasters at the time), eggs, ham, coffee/tea, and juice. 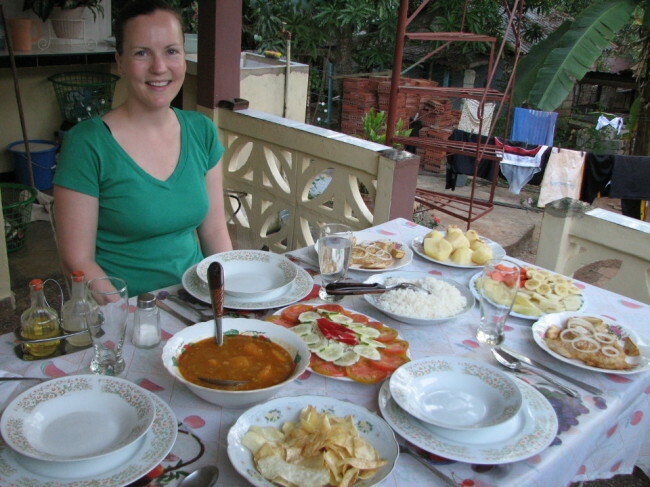 Dinners consisted of soup, rice, potatoes, raw veggies, bread, sometimes plantain or beans, and either pork, chicken, or fish, with some fruit for dessert. If you pre-ordered and it was available, you could even get shrimps or lobster. Outside of the capital, lunch was usually either pizza, ice-cream or both. My last destination was Viñales, where the tobacco plants used to make the famous Cuban cigars are grown. Although I have no interest in tobacco or cigars, the natural beauty of this western region blew me away with its green fields, red earth, and unusual rock formations called mogate. 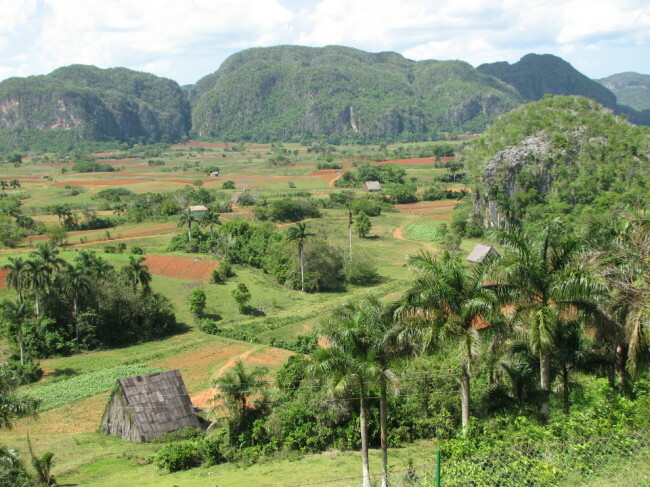 Viñales itself is a one-kilometre long main street with a few side streets, home to exactly one restaurant serving mediocre food and great mojitos. But you don’t come here for the town; you come here for the pastoral countryside where everything is still done by hand, from the ploughing to the cigar-rolling. One day I took a day trip on a sort of hop on-hop off bus doing a circuit around different sights such as caves, tobacco-drying huts, and superb view points. On another day, I went on a guided walk through the tobacco fields where a farmer showed us the cigar-making process. 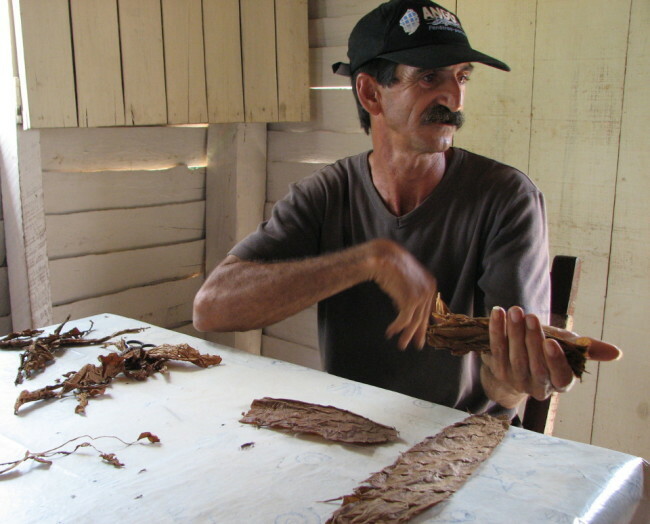 Nothing else goes into these cigars besides dried tobacco leaves, and they’re all rolled by hand. On yet another day, I rented a bike and went exploring on my own. The area is insanely photogenic. What about beaches you ask? Well, this wasn’t a beach trip for me, as I was more interested in the culture and experiencing a Communist country, but of course being on a Caribbean island, I did manage to spend a couple of afternoons at the beach. I went on a day trip to Playa Ancon by shared mini-van from Trinidad. It was OK, but the beach had no shady trees and there was sea grass floating in the water. Most of the swimmers seemed to be locals. The other beach trip was to Cayo Jutian with an organized tour from Viñales. The water was cool, calm, and turquoise with a sandy bottom, even though the beach itself was not particularly scenic. 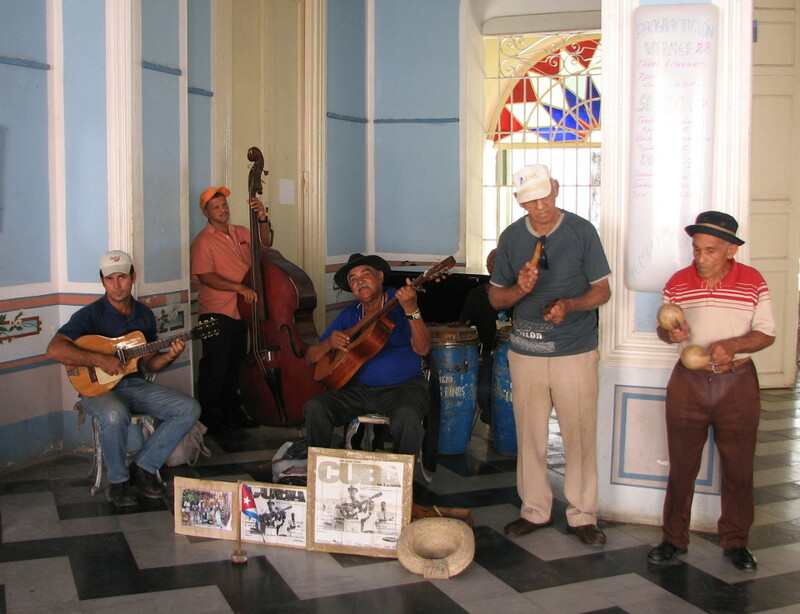 After Viñales, I returned to La Habana (about 3.5 hours by bus) and spent a few more days there. Cuba is one of the safest countries in the world, and even when I was on my own, I never felt worried, even walking around after dark. Exploring Cuba independently is actually pretty easy. The people are friendly, but you should know a little Spanish to smooth things over. I travelled with the Lonely Planet Cuba guidebook which also helped a lot. In 2008 I spent about $50 to $60 a day including accommodation in casa particulares, food, drinks, transport, and excursions. Of course there were inefficiencies: phone lines that didn’t work, buses that occasionally broke down, and a lack of modern conveniences. However, those are the things that make your travel stories more interesting when you tell your friends back home! Few churches operate as religious sites. Many have been converted into public spaces such as concert halls. Houses cannot be sold, only donated (although there are apparently some ways to get around this). People still cook with wood stoves in the countryside. 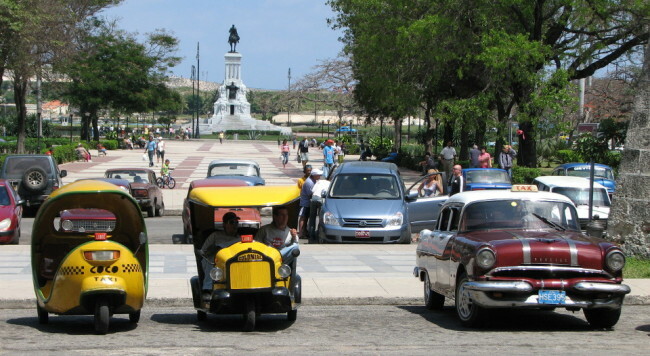 In La Habana, about 50% of cars are old models, some from the 50s. In smaller towns, people travel around mostly by horse carts, bicycle rickshaws, and bicycles. People rarely talk about politics and are divided about the current system. You don’t see commercial advertisement, but instead propaganda about the revolution and political system. Raul Castro’s economic reform in late 2010 helped increase the number and quality of paladares around the country, especially in La Habana. An independent itinerary in South America An independent itinerary in Southeast Asia Another Toronto Urban Adventure – pigs included! I have always wanted to visit Cuba on my own like yourself. I am not interested in the resorts either but would maybe go to a beach for a few hours or so. I have always wanted to visit Havana. I am sure I will go one day. Hi Marie. Excellent! Thanks so much for posting a link at CSTN Friends in Travel – exactly what I want to promote. 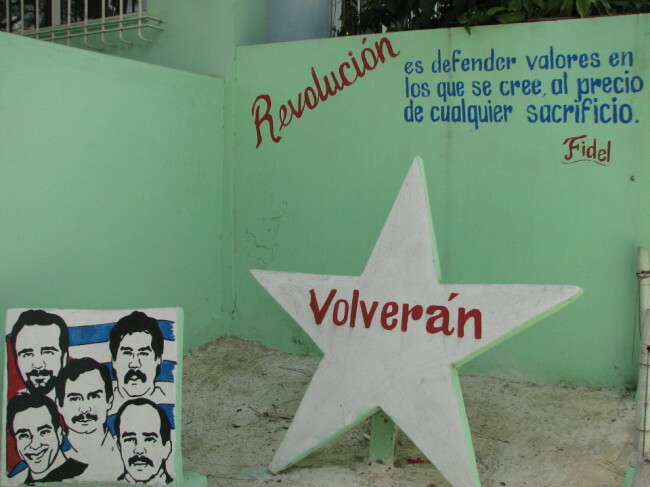 I’m in the process of updating CSTN’s Cuba article and will include a link to this blog, if that’s okay with you. Wow, I stumbled upon your blog while reading a comment you left on a BBC article online and I am SO happy I did. I have spent the last 2 hours reading away. I am 29 and just booked my first trip. I started somewhere that won’t be too much for my first. I decided on Tulum and Playa Del Carmen. Thats in a few month and after that I want to start planning for Cuba. So amazong reading all of this. Keep up the great work, you have inspired me! Thanks Michelle! Your kind comment made my day. 🙂 Interestingly enough, I was also 29 when I first travelled overseas (Europe in my case). I am considering going by myself in the fall Oct/Nov but still up in the air. I may do one or two weeks depending on things. I would rather do a less expensive trip this year since I had a wonderful one in Ecuador. This article is very helpful and I will refer back to it if I end up going. Hi Maida! Glad I could help. 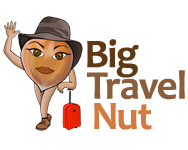 Big Travel Nut recently posted…You went where? Hey, I have a photo of that very same Cigar roller in Vinales! haha. Also just wanted to point out that your info about the two currencies is incorrect. Both tourists and locals can use the CUC and PESO. I used both of them when I was there. The Peso will only get you (what the government considers) basic necessities, like street food, coffee and some other household and basic food items. Any luxury items like appliances, restaurants, hotels, etc. are paid for using the more expensive CUC. However sometimes things which should be listed as basic necessities end up falling under the “non-essential” category when there is short supply which makes it hard for locals, It all depends on whats available. Sometimes it includes certain foods, sanitary items, cooking oil etc. Hi Chris. Ha ha! That’s funny about the cigar-rolling guy. When were you there? It’s very possible that I got the nuances wrong regarding the currencies given that I wrote the post almost 7 years after the trip. You can’t change your dollars for pesos though, as far as I know, you have to get CUCs first. And just about everything you need to buy as a tourist will be in CUCs. But thanks for the detailed explanation. Thank you for the information Marie. I visited Cuba for the first time last year, but it was at a resort. 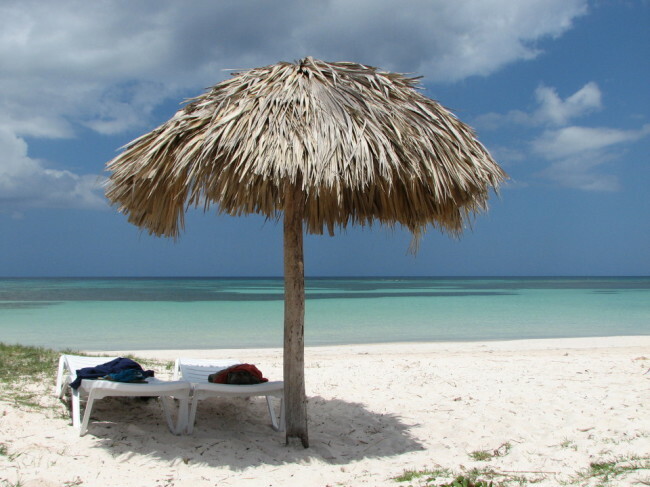 I would like to do a non-resort second trip at a casa-particular to get to see the real Cuba, but find that the airfare from Toronto to Cuba is more expensive than an all-inclusive (including airfare) trip at a resort – not sure why? Doesn’t one end up paying more to do a Casa-particular Cuba trip compared to the one in an all-inclusive resort? Hi Sam. I never really looked at packages when I organized my Cuba trip because I knew that I would get bored stiff alone in a resort. But you’re right, regular airfare to Cuba isn’t cheap, and since my trip I’ve heard many people mention that the packages (air + hotel) were cheaper than just air on an independent trip. If you find this to be the case in your situation, you could buy a package, spend a few nights at the resort, and then forego the remaining nights and stay in a casa particular somewhere else. I know somebody who did just that! 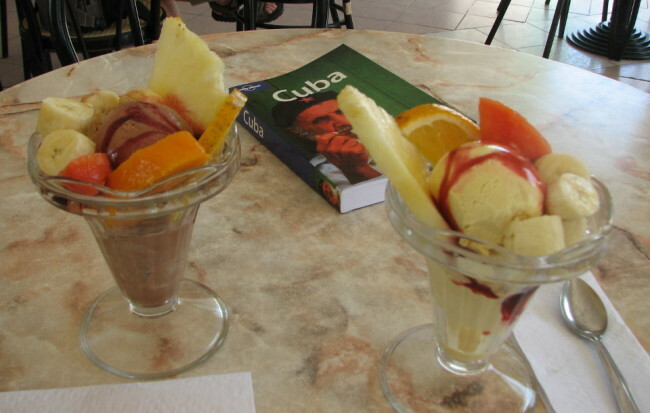 I want to feel a little closer to the Cuban spirit and its people, that´s why I prefer private homes. Maybe, this can be helpful for you as well. I think I will stay in Old Havana and then maybe in Trinidad.